This week we are sending out postcards to politicians and decision makers to seek support to implement the forthcoming Traveller Health Action Plan. We want politicians and policy makers to put pressure on Ministers to take make this Plan work. We know what needs to be done. We know how it can be done. What we need is the political will to make it happen. 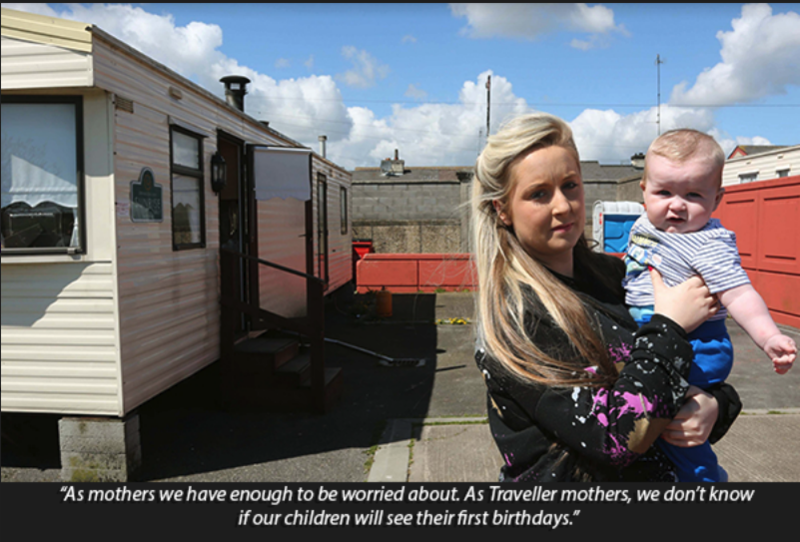 The All Ireland Traveller Health Study was begun 10 years ago this month. It was the first study of Travellers’ health status and needs that involved all Travellers living on the island of Ireland. This study provided much hope to Travellers and Traveller organisations that the inequalities in health between Travellers and the general population would be tackled once and for all. The Study was very comprehenseive and was carried out by 400 Traveller peer researchers and 80 study co-ordinators. Eighty per cent of the Traveller population responded to the study. The study was undertaken at the cost of €1.4 million and was jointly funded by the then Department of Health and Children and the Department of Health, Social Services and Public Safety Northern Ireland. It was undertaken by the School of Public Health, Physiotherapy and Population Science, University College Dublin and ran for 3 years. 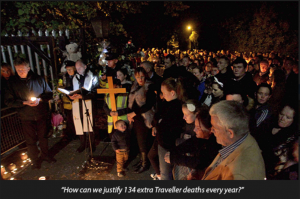 134 unnecessary Traveller deaths occur each year because of health inequalities. 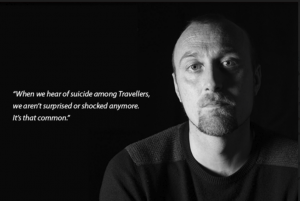 Traveller suicide is 6 times higher than the settled population and accounts for 11% of all Traveller deaths. 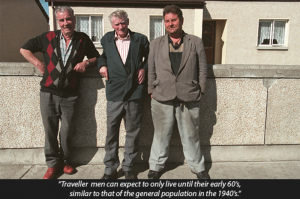 Life expectancy for Traveller men is 15 years less than in the general population. It was the recommendation of the All Ireland Traveller Health Study that and Traveller Health Action Plan be developed with targets and timeframes. The recommendations for an Action Plan were never acted upon. 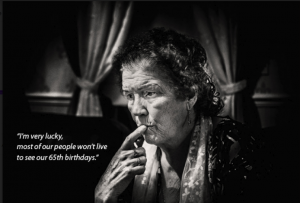 Due to lobbying through the National Traveller and Roma Inclusion Strategy in 2017 an action was committed to develop a National Traveller Health Action Plan which is due to be published and implemented. Crucial to the success of this plan is the establishment of the Planning Advisory Body for Traveller Health (PATH) to be resourced and funded to drive the implementation of the Plan.